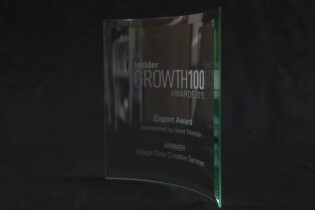 We were very pleased to be asked to attend the Insider growth 100 Awards lunch yesterday and even more pleased to come away with the Award for Export. Each Autumn, Insider celebrates the achievements of the 100 fastest growing companies in Yorkshire. The Awards lunch was attended by Managing Director, Mark Johnson and Sales & Marketing Director, Tim Leigh.